497 roads had been cut from the precautionary gritting network in Northants. Hundreds of Northamptonshire roads removed from the winter maintenance service will be gritted once more after the council performed a U-turn on its controversial policy following severe criticism. Conservative leader Cllr Matt Golby announced this morning Northamptonshire County Council will scrap its policy which had seen 411km of roads removed from the precautionary gritting network. This week's Northants Telegraph joined forces with sister papers to ask the council to reconsider its policy. The leader had faced calls from all quarters including fellow councillors and residents to think again about the cost-saving policy after a number of reported accidents over the past few icy weeks on ungritted roads. 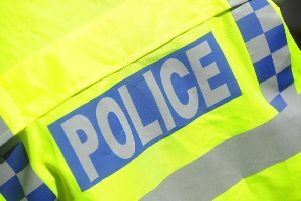 In one incident a woman crashed her car down a hill in Daventry after a request made by the police to the council was reportedly refused. A pregnant woman also crashed her car in Northampton on a road that had been removed from the gritting network. He said: “There was a clear message coming through and I have listened to that call. It is our job to listen. We don’t always have the luxury to be able to to that. This week's Northampton Chronicle joined forces with sister papers to ask the council to reconsider its policy. The councillor said with a couple of months to go the authority was ‘very close’ to balancing this year’s budget and that the money to grit the roads would not come from the capital flexibility granted by the Government to the authority. He said the issue had been discussed at the Conservative group meeting last night (Feb4) and there was support from his colleagues. He had also run the matter by the chief executive Theresa Grant and the two commissioners overseeing the council. This week's Daventry Express joined forces with sister papers to ask the council to reconsider its policy. But Cllr Golby could not confirm that there were won’t be changes to the gritting service for next winter announced in the final 19/20 budget papers which will be made public tomorrow. Council leader Matt Golby said he has listened to calls from the public, media and fellow councillors to reverse the policy. *This extra detail was provided to the newspaper at 11.30am today.